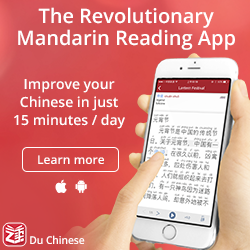 It becomes increasingly common to argue that it’s okay that the knowledge of written Chinese lags behind that of spoken Chinese for beginners. This means that you don’t have to learn how to write everything you learn how to say. I think this is generally a good idea and I don’t think this topic ought to be as controversial as it is. Although less discussed, there’s also the opposite approach, which involves learning to write characters first (meaning) and then learning how to pronounce them later. 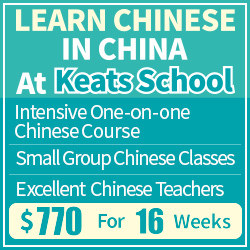 The most common method of this kind was developed by James Heisig, first for Japanese and then for Chinese (both simplified and traditional). The system teaches you to write the 3000 most common characters. This is done in the order that makes the most sense for learning the characters, not the order in which the characters are useful in the short term. It also ignores pronunciation, which is what I want to talk about in this article. Is this good? As usual, there is no easy answer to that question because it depends on what you’re after. If you have a very heavy focus on reading and writing, and have no access to teachers and/or native speakers, it might indeed be a good idea to ignore how the characters are pronounced. Allegedly, this makes it easier to learn, but there are other, less controversial benefits such as avoiding bad pronunciation habits since you have no-one to correct you. However, I don’t think this applies to most students and there are few scenarios where I would advocate this approach. It creates an unnecessary disconnect between the spoken and the written language. If you don’t learn to speak at the same time as learning characters, you will see no connection between the two, which is bad because they do reinforce each other quite a lot, even though the writing system is far from phonetic. Without knowing that these characters are all pronounced in a similar way (all are pronounced “ma” with different tones), it’s impossible to understand why they contain the horse component, even though none of them has anything to do with horses. Sure, you could create mnemonics for them and learn them anyway, but everything simply makes less sense if you skip pronunciation. And remember, this is not the exception! 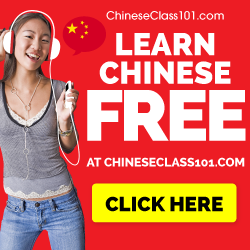 When you go through the basics of Chinese characters in many courses and textbooks, you’re often left with the impression that Chinese characters are pictures or combinations thereof. Phonetic components and sound-meaning compounds are mentioned, but not as much and as in-depth, perhaps because it’s harder to produce cute pictures for these that spontaneously make sense for the student. However, it remains a fact that more than 80% of all characters are sound-meaning compounds. Think about that for a second or two. More than 80%. And you miss all that if you don’t learn pronunciation. Of course, even if you know how to pronounce characters, you don’t automatically know how to write them, even if they share a sound opponent, but it becomes much easier. And it makes sense, which is essential for learning. In some cases, you can guess how they are written based on how they are pronounced, but perhaps more often, pronunciation can serves a as powerful clue. The more you know about characters, the more useful this becomes. Advanced learners and native speakers can often guess the pronunciation of rare characters based on the components, or, remember how to write them because they know how they are pronounced. When I review characters in Skritter nowadays, I almost never forget how to write the components themselves, it’s always about which components that should go in a specific character. In a large number of cases, this can be easily remembered by knowing how the character is pronounced. In general, the reason that I don’t advocate learning characters separately from pronunciation is that it hides the logic in Chinese characters. The best way of learning and remembering anything, but perhaps characters in particular, is to understand them. You can create your own system to do this, but why not rely on the actually system the characters are built on instead? What do you think about this? I would be particularly interested in hearing comments from people who have used Heisig’s method, please leave a comment if you have! Good article. It is really easy I have found to learn either the pronunciation or the character, and forget, or never even look at, the other relative component. I have learned to read Hindi and Arabic and it’s so much easier to acquire vocabulary in the beginning in those languages, I found. I am an extreme beginner in Mandarin, I should say. I do also remember when I was young learning many characters, but never how to pronounce them. 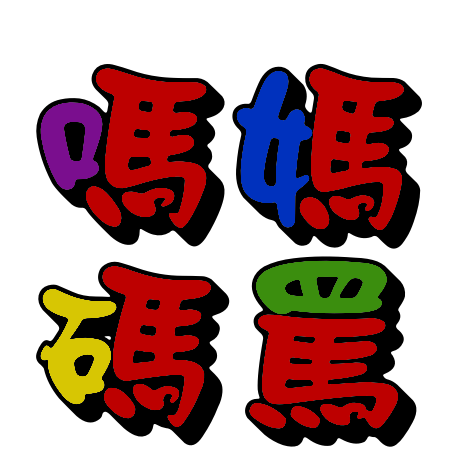 I’ve started learning Mandarin less than a year ago, so I’m still very much a beginner. But I’m an experienced language learner – Mandaring is my 9th language, and I’m learning it in French, which is my 5th language! I’ve noticed that I learn easily by listening (I have an “ear” for languages”), but combining hearing and seeing things written down at the same time is a powerful way to enhance my learning. For me, it would make no sense to learn Chinese characters without learning the pronounciation as well; the way things are said is such a big part of a language. It doesn’t take too much extra effort to add that nugget of information to the character, but it does create extra work to learn it separately later. I guess one could compare it to learning French or German nouns without learning the articles for the words: learning them later on is a real hassle! Of course there are occasions when you learn a word or a character just by hearing or seeing it, but personally, I prefer the complete “package”. For example, when I hear and learn a word, I really want to know how it’s written; without the two elements, something is missing for me. And like you said, often times the parts of the character make no sense if you don’t understand the pronounciation component. I realize this is an old post but I appreciate the call for discussion on Heisig’s approach. 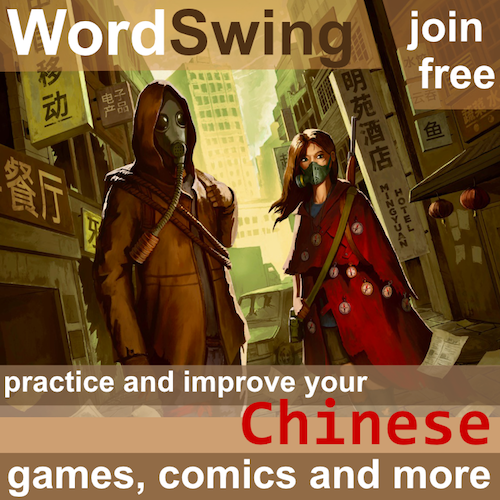 I am personally one of those that used his system solely for learning Chinese characters. Instead of giving the long story, I will just give the results: Using Anki as my SR system, I finished the meaning/writing portion of the program (3,000) characters in 3-4 months. In 3 months after that, I had finished the pronunciation learning. Just to clarify, during the half-year I spent on characters, I was simultaneously going through audio programs like Assimil, Glossika, and textbooks for speaking/listening training (I did not study or even try to read characters in these or other materials). After I finished Heisig, which was used in combination the audio regimen, I could read a great deal and had little problem remembering which characters to use to write a word I had learned or seen previously. Granted, I may still forget characters here and there like any learner but overall I feel my retention rate has been fine. However, Heisig wasn’t enough I felt. I grabbed two more character dictionaries and filtered out the characters I had learnt with Heisig. I applied the Heisig approach to those two dictionaries and learned 2,000 more characters the same way in a few months. After 5,000 characters learned systematically like this, I felt it was enough and I don’t feel the need for systematic character study anymore, instead opting to just learn the rare unknown character as it comes up (granted these are mostly name characters or very specialized characters for field-specific things like chemistry). My personal feeling is that it is a great investment up-front that gives returns very quickly. Regarding the comment about ‘understanding’ characters, I don’t feel I have missed out on anything in that sense. Rather, going through Heisig’s method, I mentally deconstructed the phonetic relationships in reverse rather than relying on them as a recall device when first establishing the character mentally. I can ‘guess’ correctly much of the time how a new character is going to be pronounced the first time I see it. The system is internalized, just in a different order (if I’m understanding correctly how the traditional learning path incorporates phonetic components). I also never took a class (though I will start my first class soon in Taiwan). The reason I mention this is that I never had the institutional pressure to learn characters a certain way. Just for reference, here are my Anki time investments for Meaning/writing and pronunciation respectively: 105,802 reviews (375 hours), 163,276 reviews (255 hours). Thanks for the great website btw, it has been a great help. Hi Dan, is there a special program/method you used to learn the pronunciation? I’m wondering if there’s a Heisig-equivalent that would make remembering the pronunciation much easier.